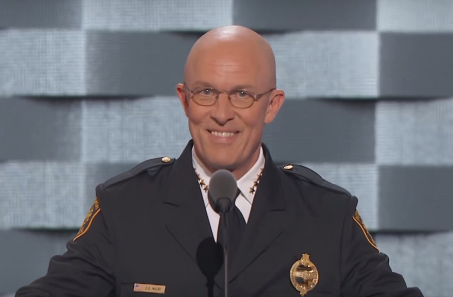 Pittsburgh Police Chief Cameron McLay had the national spotlight last night at the Democratic National Convention, where he spoke about national tensions between police and black communities. “The controversial officer-involved shootings that have occurred since Ferguson have created a level of tension between police and our communities, while at the same time, there’s been a great deal of work going on to improve those relationships,” McLay said during a prime-time convention slot. Among other key points, McLay spoke of the disparate impact the justice system has on minority communities nationwide. He also underlined the the fragile nature of relationships between police and residents, particularly in the wake of of police shootings of black men in Minnesota and Louisiana, followed by the murder of eight police officers in 10 days. Read a full transcript from the DNC here. On July 31, PublicSource is hosting an event about Pittsburgh communities healing in the wake of neighborhood violence. Visit our Facebook event page for more details. Note: McLay does not follow the text exactly but hits on the same points.